If you are thinking of spending your money to acquire the skills to start your own grooming business or work in the grooming industry, be sure to spend your money wisely. There are a lot of non-acredited training programs in Australia that a very happy to take your money and provide you with “certificates” that are worthless. Look for courses endorsed by PIAA or acredited by TAFE to ensure your time and investment is not wasted! 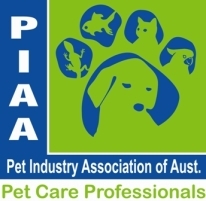 Our programs are also industry recognised, we receive many referrals from TAFE, Employment Agencies, Animal Welfare Industry Professionals and employers. Our graduates have gone on to gain employment in veterinary hospitals, grooming salons, boarding kennels, wildlife shelters, training schools, pet shops and zoological parks. We have also assisted many graduates in opening their own successful business.